Major Crash officers are investigating a fatal traffic crash that occurred in Cranbrook last night, Sunday 14 April 2019. About 8.15pm, a white 1997 model Toyota Hilux dual cab utility (with an aluminium tray back) was travelling south along Albany Highway when near Peter Valley Road, the vehicle veered onto the gravel shoulder of the road. The driver lost control of the vehicle and the Toyota struck a tree. The driver of the vehicle, a 50-year-old-man from Kendenup, received critical injuries and died at the scene. Major Crash investigators would like to speak to anyone who saw, the Toyota Hilux in the area prior to the crash. 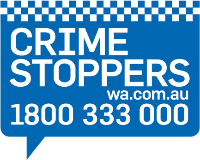 Anyone with any information is asked to call Crime Stoppers on 1800 333 000 or report online at www.crimestopperswa.com.au.